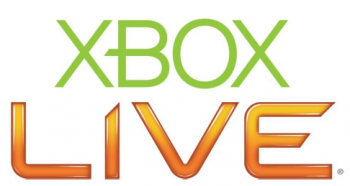 Xbox Live's General Manager would like to remind you that "password" is not an acceptable password. We've increased notifications to members whose accounts may be compromised to add proofs, update their passwords, and, if necessary, contact Xbox support. This helps our team lock down an account quickly, investigate and restore the account to the rightful owner. We've taken legal action to pull down online posts of gamertags, usernames and passwords gathered from malware or phishing schemes to help protect our members. Our Xbox LIVE Spring update included many behind the scenes improvements that help us build on security enhancements for the near future. We're sending unique codes to the security phone numbers and secondary email addresses provided by members to verify authorization for Xbox.com purchases or account change attempts not stemming from a member's trusted device. While these changes should not drastically affect most players, they should go some way to preventing the use and trade of stolen accounts. However, for the majority of these measures to be effective, Garden says, users will need to make sure that they keep their account information up-to-date. To that end, he advised that customers double-check their security info and update it if necessary. Garden also suggested that users ensure their passwords are watertight. To prevent breaches from one site from spreading to all your accounts, be sure to use a different password for every service you use, and don't have common words as these are the most easily hacked. "Sadly", he notes, "'Password' and '12345' are still top of the most common password lists when we see breaches occur and passwords posted online." Microsoft hopes that these advancements will help to reduce the amount of account fraud on its online service. However, as with all security measures, users also have a responsibility for the safety of their online identities, and a little common sense goes a long way when protecting your accounts.